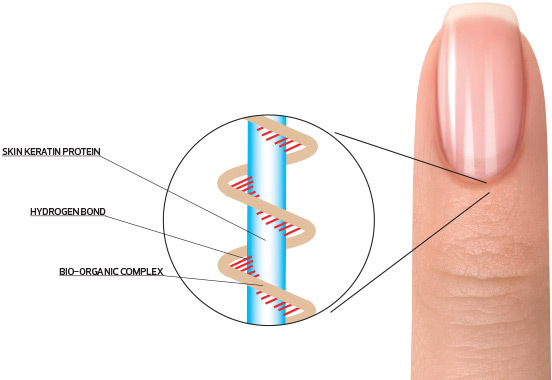 The secret to professional manicures and pedicures that last is proper preparation and products that work for the nail technician by providing instant, quality results. 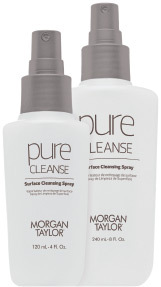 Morgan Taylor provides the perfect balance of these two principles with Essentials; a line of high efficacy products with fast-acting and mild formulas. Its unique formulas with Bio-Organic Complex produce unparalleled results. 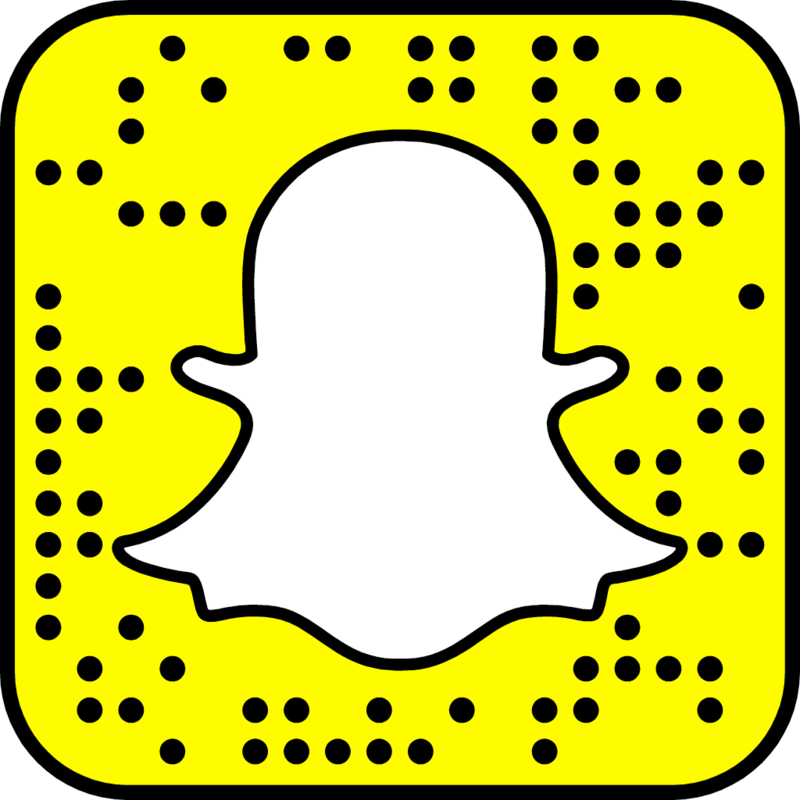 • Dry to the touch in 60 seconds! Bio-Organic Complex with Panthenol is a vitamin and mineral complex that is designed to create a protective coating around the skin's keratin protein structure. It protects the hydrogen and salt bridges which help maintain the skin's optimum moisture even under harsh salon conditions. Bio-Organic Complex is the cornerstone of the mild and effective nature that sets the Essentials line apart. Waterless Cleanser for nails and tools. Prepares the nail plate for lacquer and shows your client that you care. Bio-Organic Complex with Panthenol is a vitamin and mineral complex that is designed to create a protective coating around the skin's keratin protein structure. It protects the hydrogen and salt bridges which help maintain the skin's optimum moisture even under harsh salon conditions. Moisturizing Anti-Oxidant Grapeseed, Vitamin E, Sunflower and Safflower nail and cuticle oil. Bio-Organic Complex with Panthenol is a vitamin and mineral complex that is designed to create a protective coating around the skin's keratin protein structure. It protects the hydrogen and salt bridges which help maintain the skin's optimum moisture even under harsh salon conditions and environmental factors. Dry to the touch in 60 seconds! Available in two formulas. - Spray for fast general application. - Drops for precision application. 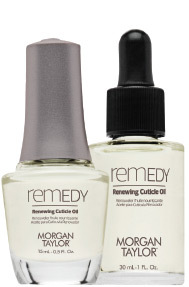 Reduces the dry time of the already fast drying Morgan Taylor lacquer. Dry to the touch in one minute and completely dry in less than 8 minutes. 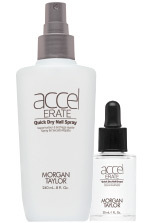 Formulated for compatibility with Morgan Taylor top coats. Bio-Organic Complex with Panthenol is a vitamin and mineral complex that is designed to create a protective coating around the skin's keratin protein structure. 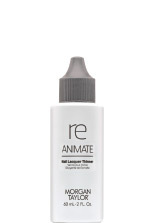 Removes lacquer including darks and glitters while protecting skin from harsh salon conditions. Bio-Organic Complex with Panthenol is a vitamin and mineral complex that is designed to create a protective coating around the skin's keratin protein structure. No white residue or unsightly dry skin is left behind. 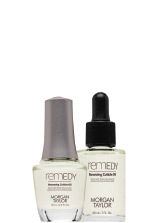 Refreshes lacquer instantly with 1 to 2 drops! 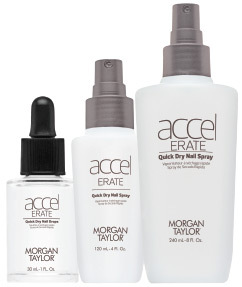 Formulated to work with Morgan Taylor lacquer without compromising shine or wear.